No time to come to class? Framework is a $99 online course that you can take at your convenience. To get started visit FRAMEWORK™ or to learn more, view this short Overview Video. 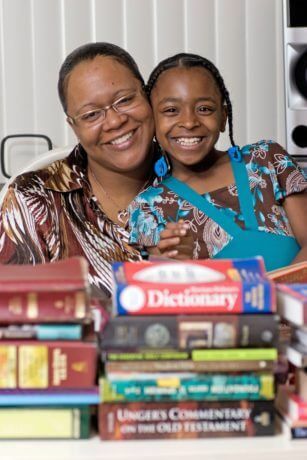 Meets counseling requirements for HUD homebuyer programs. This series is 4 weeks from 6:00 – 8:00 pm. You must take the classes in the order listed. Learn why good credit is important and how it impacts your life. This course covers basic credit terminology, how your score is calculated, how to read your credit report and recognizing errors. This class must be taken BEFORE Got Credit? This class guides you through your personal credit report. You will identify and dispute errors and take steps to rebuild or establish your credit. This class must be taken AFTER What the Fico? Having a saving/spending plan is the first step to wealth. Learn to tell your money where to go in this workshop. Whether your savings goal is a new television, buying a reliable car or a down payment on a home, this class shows simple ways to set a goal and keep to your plan. This series runs for 4 weeks on Monday or Tuesday evenings from 6:00 - 8:00 p.m. Please note: The series meets the counseling requirements for HUD down payment assistance and first time home buyer programs but you must complete all four courses in the series. Don’t have time to attend these classes in person? 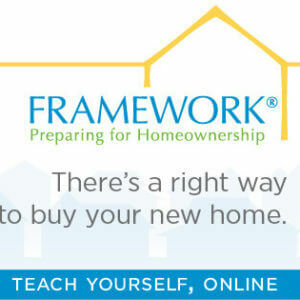 We also offer counseling through the Framework online homebuyer education platform. This workshop is an overview of the entire home buying process from making a decision to purchase a home through to the Closing and getting the keys. Principal, Interest, Taxes, and Insurance are the four components of a mortgage payment; learn the ways you take control of each. Review the different types of mortgages available today. Receive advice on building equity by increasing the value of your home. A detailed look at the Purchase Agreement, Loan Application, Appraisal Report as well as the new Loan Estimate and Closing Disclosure documents is the focus of this workshop. Students become familiar with mortgage terminology and personal documents required by lender for loan qualification. Homeowners Insurance is required by mortgage lenders to protect their and your investment. Learn ways to insure this valuable asset while gaining an understanding of specific insurance terminology.